Carlos Perrote is a very talented man; hats off to him. In just the first week of camp he had his students playing music, and really good music for that matter. I was very pleasantly surprised at the skill level his students had reached in just the first week of camp. It takes a really good musician/teacher to accomplish such a feat, especially with a group of such young students. That is why I also say that San Pedro has talent. 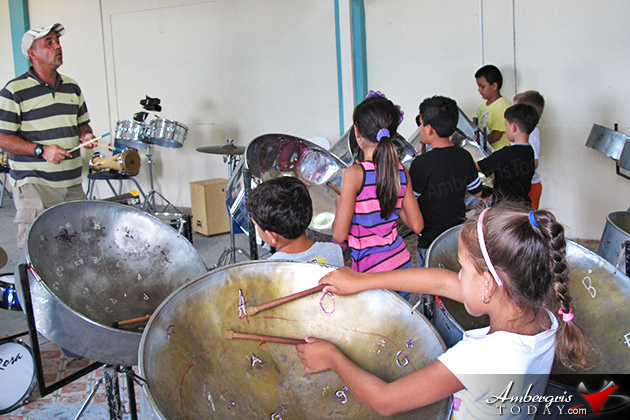 Some of these children did not have any prior musical training and by the end of the camp they were playing close to 15 different percussion instruments, including the steel drums. At their graduation showcase, they displayed their skills by playing together and switching from one instrument to the next and then playing a melodious tune on the steel drums. WOW! I am sure that I was not the only one that got goose bumps when they started to play. The first thing that came to my mind was, ‘San Pedro needs its own steel band’. How cool would it be for these youngsters to play at special events and even around the country! And many parents and businesses are now showing interest in backing this new initiative to organize a steel band for the island. 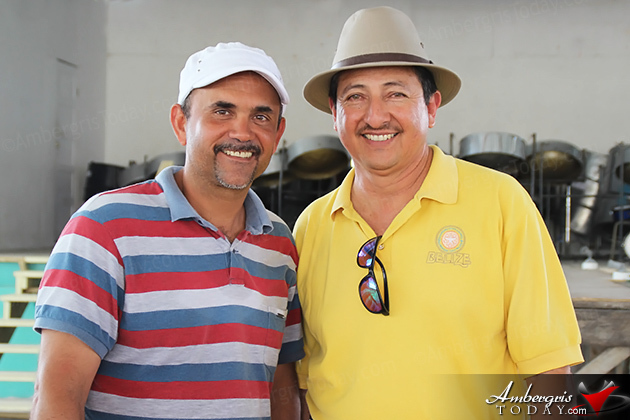 Well, Maestro Carlos Perrote has given his support and San Pedro Mayor Daniel Guerrero and Area Representative Hon. 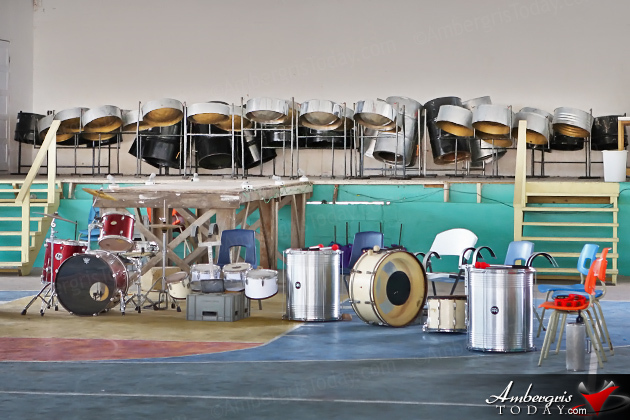 Manuel Heredia have also pledged to finance a majority of the cost to purchase the equipment for a complete steel band. 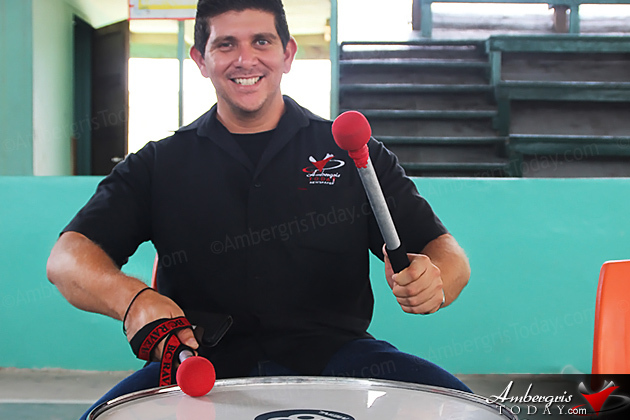 Mayor Guerrero stated that one of the dreams the Town Council is to open a Music Center in San Pedro, and by purchasing the equipment for the island’s own steel band is a great step towards making the center a reality. Island residents have always been complaining that there are very little extracurricular activities for the young people of San Pedro. This music center/steel band project is a perfect outlet to educate, entertain and keep the youths off the streets. I would hope that the entire community will show 100% support to this new initiative to commence a music program in San Pedro. I know for sure that the parents of the students who attended the camp are in full support and excited about all the talk. Now it is up to all of us to unite and make it happen. We cannot sit back and wait for a music center to magically appear. San Pedro residents have always been movers and shakers and get things done when they put their minds to it. This is something beautiful and I know that everyone who sees these children playing will get inspired to help. 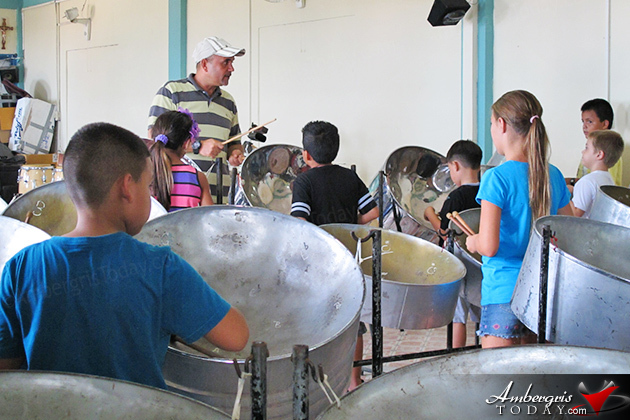 (Click the link to see video and more images of the Music Camp) Ambergris Today will keep the community posted on the future fundraisers and the development of a Music Program for the island. Help spread the word.